Giving and caring for others is such an important lesson for our children. Mine came in grade five when we put together a care package for children in Africa. I included a favourite shirt and when we got a photo of the children with their packages, I saw a little girl wearing the shirt I’d donated. It was a wonderful moment I’ll never forget and one that every child should experience. That’s why I’m so excited by these blankets that offer much more than just a super soft cuddle. 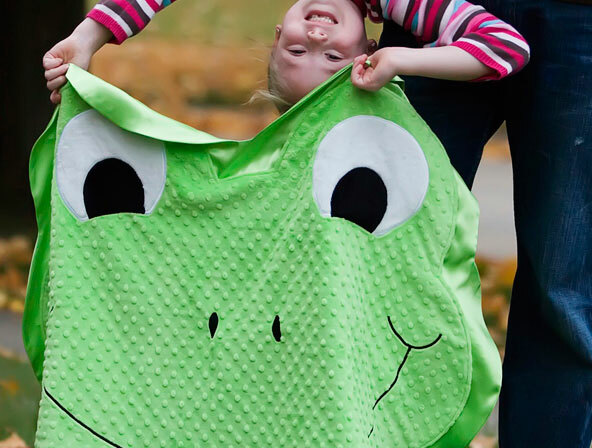 Chase the Dog, Giggle the Pig, Tumble the Bear and Stomp the Frog make up Happy Blankie, a US-based organisation whose motto is ‘One to Love, One to Give.’ They sell super soft ‘minky’ blankets for snuggling in but more importantly, they donate blankets. For every Happy Blankie that is purchased, another is given to a child in a hospital or orphanage around the world. This is such a sensational idea as it teaches children to love their neighbours (even if they’re halfway around the world), encourages them to make a difference in someone else’s life and a meaningful contribution to our world. Once you receive your Blankie, you can choose where you’d like the donated Blankie to go by following the instructions on the ‘giving is cool’ tag. To buy, go to the Happy Blankie website. 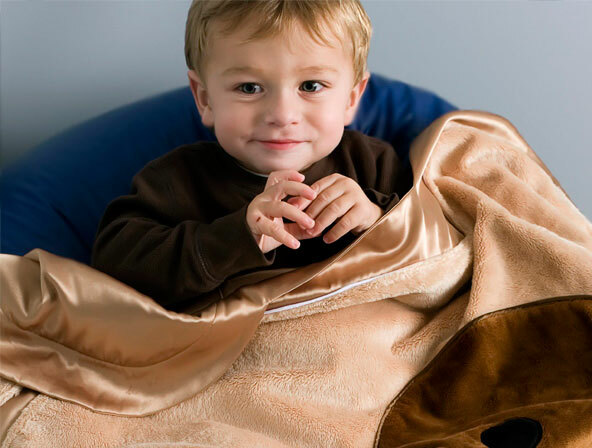 The blankets come in three sizes and range in price from US$29 to US$99, plus shipping.